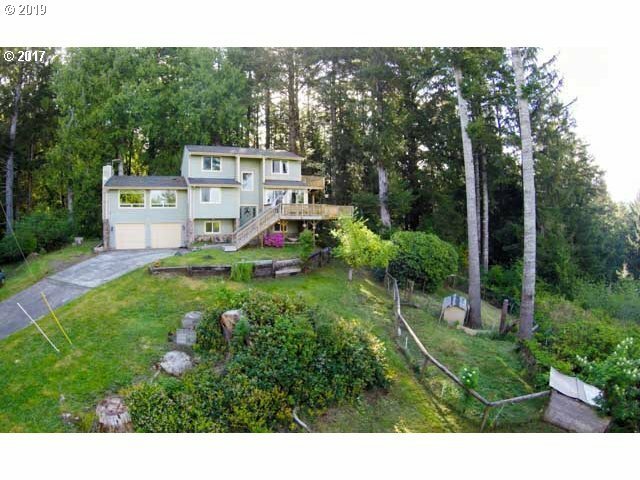 COUNTRY HILLTOP PRIVACY - Spacious tri-level home with ocean & territorial views, out of the wind & fog. Huge living room and modernized country kitchen. Heat Pump. 3 decks for outdoor living and entertaining. Enjoy the peace & quiet of the North Lakes area, just 10 minutes from town in this 3, 000+ square foot, 4+ bedroom country home.